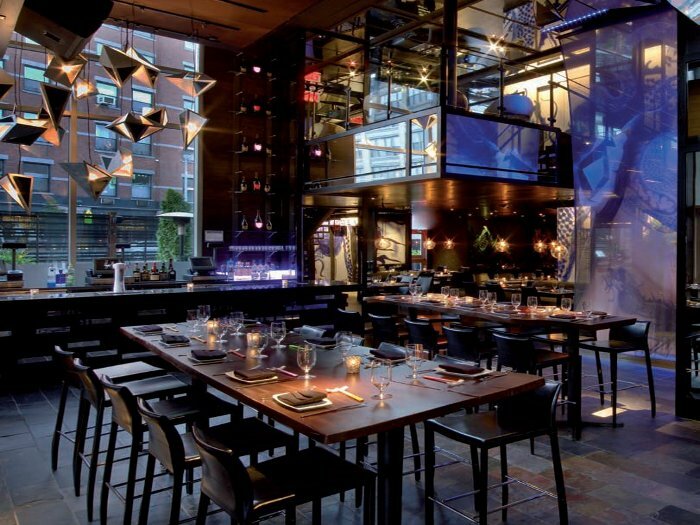 The brief was to transform a Japanese restaurant in the Gansevoort Hotel in Manhattan's Meatpacking District into a more up-to-date and versatile restaurant/bar/club called Toy; and the client was Jeffrey Chodorow, a successful restaurateur for whom JBI has designed several restaurants, including the acclaimed China Grill, also in New York. From the beginning of the project Chodorow was adamant that the new restaurant should be open in time for Memorial Day weekend just seven weeks away, so there was no time to make mood boards and sketches - the usual way the practice would begin a project. Instead, DelPazzo and his team, which included designers Rebecca McBride and Monika Chmielewska, went straight into modelling the space using 3D design software, creating a dramatic mirrored fractal ceiling, weighing in at 680kg, that is suspended over the dining room and also encompasses the DJ booth. To make the process as rapid as possible, the designers used a programme called Rhino, which allows 3D designs to be read by a CNC cutting machine. As an easy and effective way of changing the look and feel of the space as the evening progresses, DelPazzo decided to use mapping software to project images and video content on to the mirror panels of the fractal ceiling. The mapping software is able to recognise the shape of the surface it is projecting on to, so in this case it only projects images on the mirrored panels and not the ceiling or walls behind it - although it is also projected on to a scrim which separates the main dining areas from a staircase. 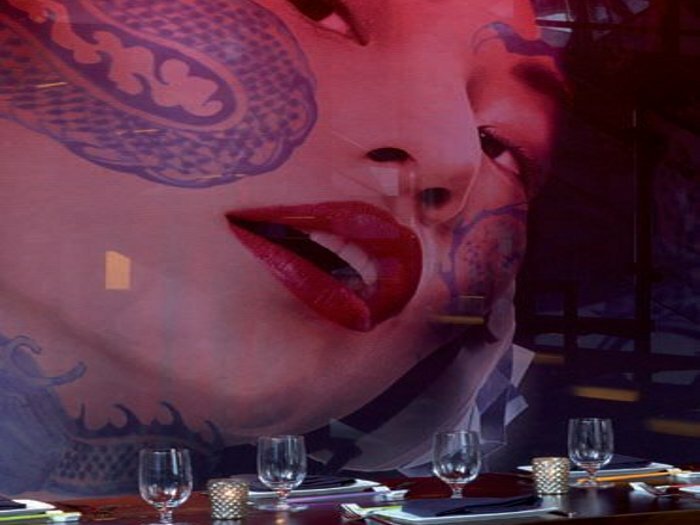 Further decoration comes from photographs DelPazzo took of a Ming vase, which have been enlarged, printed on to a plastic wallcovering and applied directly on the brick walls of the restaurant. The design blends modern technology with Oriental imagery, in a way redolent of the film Blade Runner, an influence DelPazzo acknowledges. But the designers were keen to soften the 'tech-noir' feel of the space and so selected wood live-edge tables and chairs upholstered in leather to give the space a more comfortable feel.